Glitter eye shadows are the finest glitters powders available, they are truly like fairy dust! 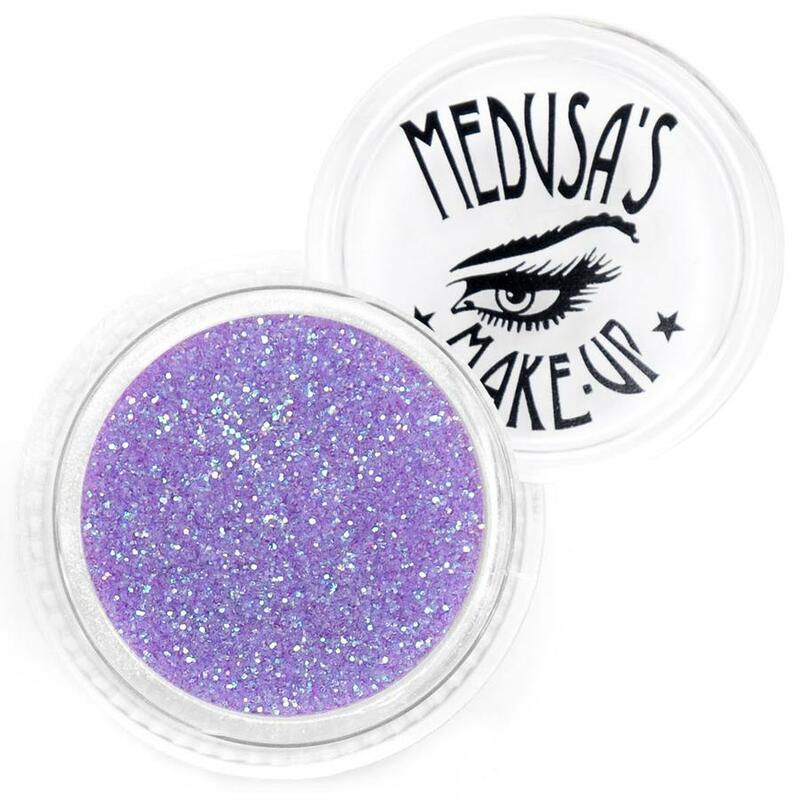 Most of Medusa's Make-Up glitter eye shadows are synthetic, although 12 of our glitter colors are 100% mineral glitter eye shadow. For a more intense application, apply "The Fix" as a glitter base adhesive. 2 grams net. weight.